Bizzy Hands: I'm sooo proud! Totally off topic, but..... my granddaughter was born today! 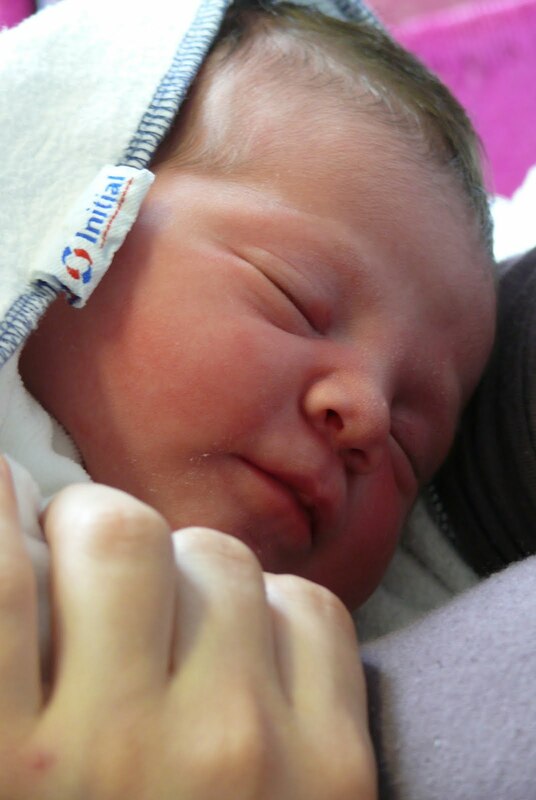 Her name is Laura and she is gorgious:) Mom and dad are fine, tired but very happy! Soon i will post a picture of her in her freeform blanket! So much hair on her head! She looks beautiful and peaceful. Now F and M have a new cousin to play with, and M is no longer the "baby". Such a beautiful baby, truly a gift from Heaven!